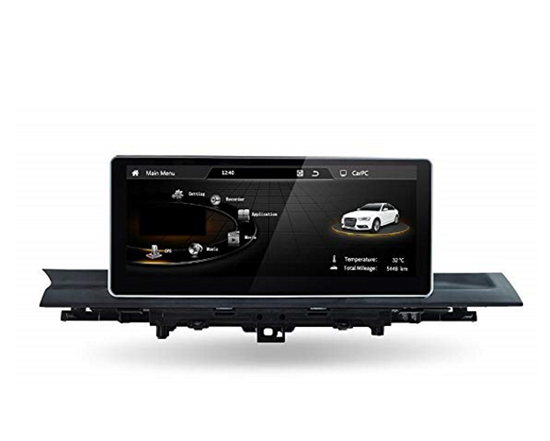 Android OEM display for Audi A4 2016 ideal to accompany you on your travels because of the GPS experience. You can also make hands-free calls from your cell phone Android / IOS via Bluetooth. Plays audio / video content from CDs, DVDs and USB devices. 4. Support mirror link function5. Super-clear 1080P Video Enjoyment. It displays driving the computer real-time data (OBD data shows air conditioning, lights, door information, fuel consumption and air quality: PM2.5). Full screen reversing radar warning information, vehicle air conditioning. 6. Support rear view camera, reverse radar, reverse trajectory.